PSNews – Senior Lieutenant General Nguyen Van Thanh, Deputy Minister of Public Security on September 11 received a delegation of the Kuwait National Guard, led by Head of the International Cooperation Department Waleed Anwar. The delegation is in Vietnam to prepare for an upcoming official visit of Prince Meshal, Deputy Commander of the Kuwait National Guard to the country in the coming time. Mr. Waleed Anwar is also the secretary to Prince Meshal. Speaking at the meeting, Deputy Minister Nguyen Van Thanh expressed his delight at recent fine developments in various fields of the good traditional friendship between Vietnam and Kuwait, particularly positive results of the bilateral cooperation in politics, economics, trade, investment, and culture and people exchange. In this context, the cooperation between the Ministry of Public Security of Vietnam and Kuwait's law enforcement agencies is maintained and developed in various fields, especially in exchange of information about crime prevention and control, and pursuit of wanted criminals. In the coming time, Deputy Minister Nguyen Van Thanh suggested the two side further promote cooperation activities in the fields of mutual interest, including collaboration in developing legal frameworks for cooperation, sharing of information and experience in crime prevention and fight, and cooperation in the fields of personnel training, healthcare, science and technology. 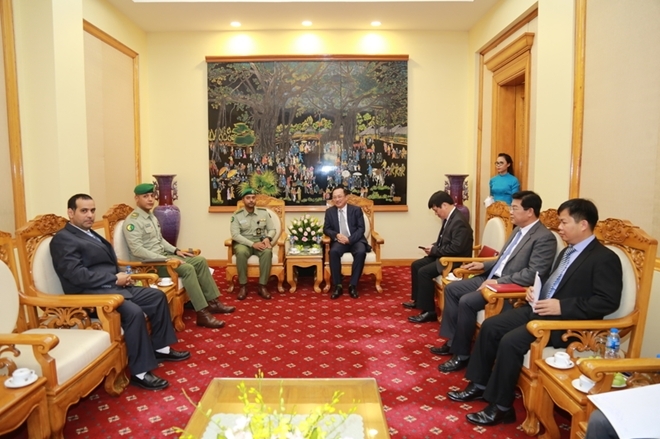 Deputy Minister Nguyen Van Thanh affirmed that the Vietnam’s Ministry of Public Security will well prepare for the upcoming visit of Prince Meshal, Deputy Commander of the National Guard of Kuwait to Vietnam. For his part, Mr. Waleed Anwar thanked Deputy Minister Thanh for the warm reception. He promised to continue contributing significantly to tightening bilateral relations between Vietnam and Kuwait, and cooperation between the Vietnamese Ministry of Public Security and the Kuwait law enforcement agencies.